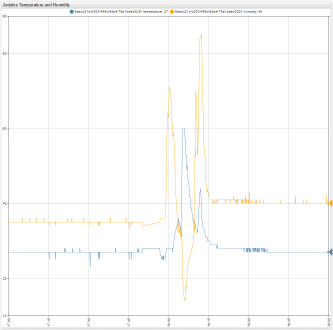 Time Series Analysis for Batch-Oriented Industrial Process. Loads sites and buildings from entity metadata for top-level filtering. Provides a special zoom&pan interval widget that allows filtering batches by duration. Displays key equipment metrics on a relative time scale for ad-hoc comparison. Interactive data-driven slides with TOC and navigation. Statistics are continuously updated from a public data source – Energinet.dk. TOC and data slides are based on simple configuration files. No coding is required. 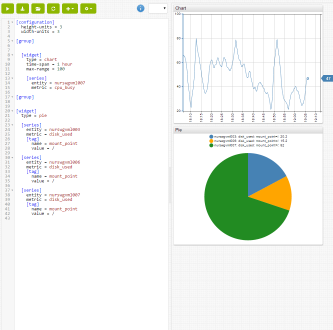 Implements "OLAP in the browser" concept. 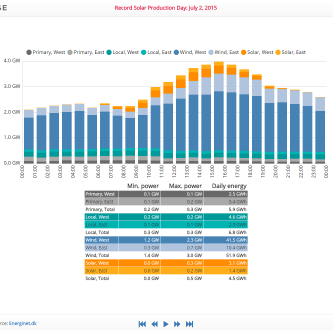 Enables users to interact with datasets without reloading data from the server. 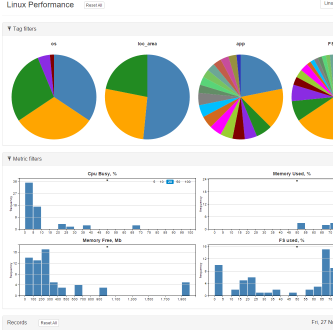 Filters information using coordinated views comprised of histogram, pie, and table widgets. Records are loaded from ATSD with SQL queries. 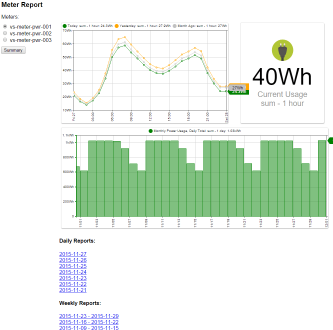 Displays power usage statistics collected with smart meters and provides customized CSV reports. User access is configured in an Apache .htpasswd file using htdigest utility. Users are granted access to particular entity groups in a user-group.ini configuration file. Each user is limited to viewing only the entities in his or her assigned Entity Group. API PHP proxy serves as a façade and performs data and user validation. 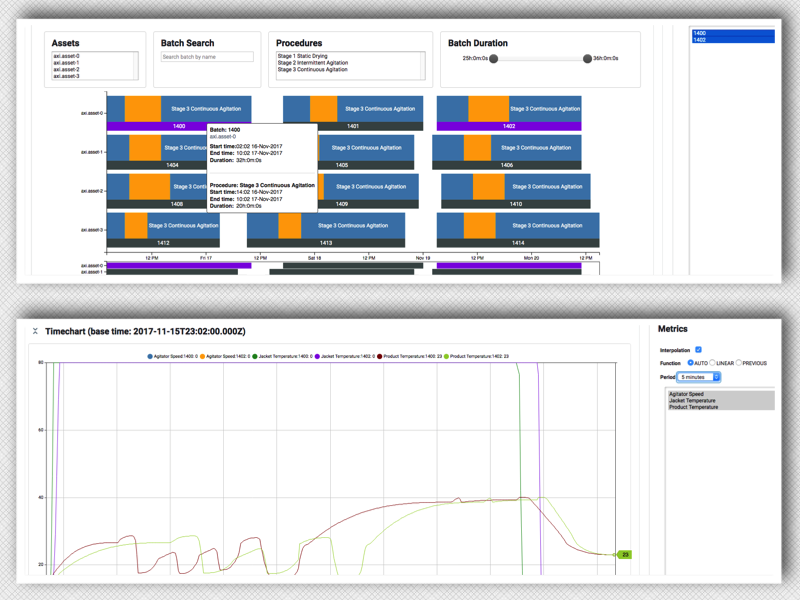 System performance and configuration data explorer. 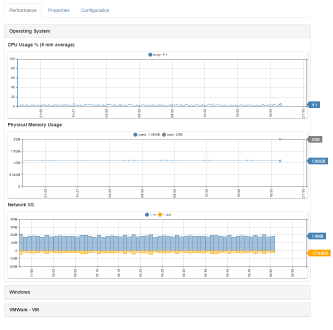 Displays performance statistics, host machine & VM properties, and configurations. Loads only available metrics or properties for the selected entity. Displays only the categories, charts, and tables for which the entity collects metrics and properties. 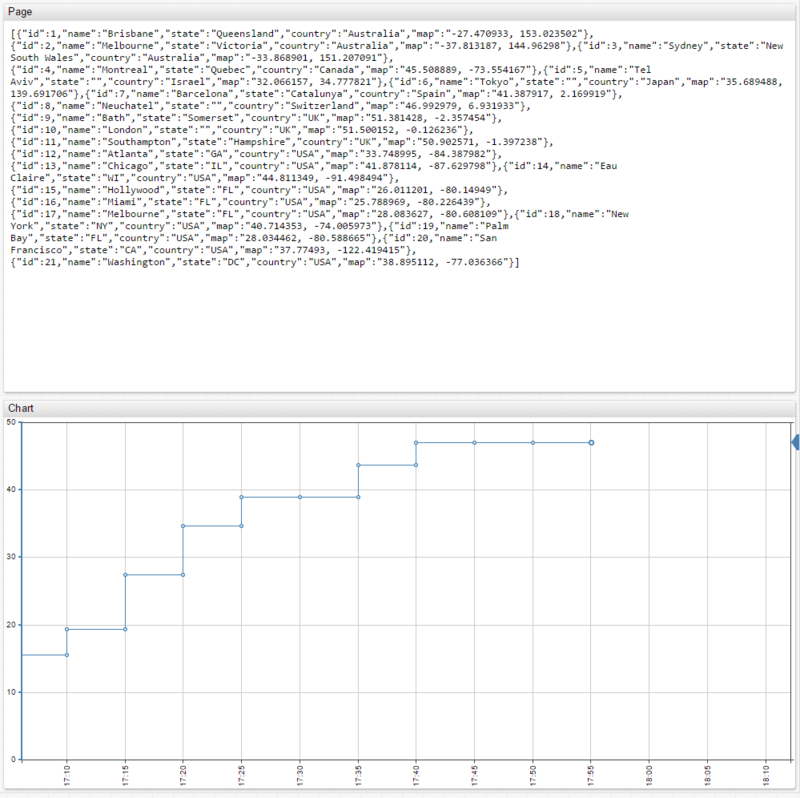 Calculates and displays the "Time Lag" of entities, entity groups, and metrics. Determines how reliable the data is and shows servers that require troubleshooting. 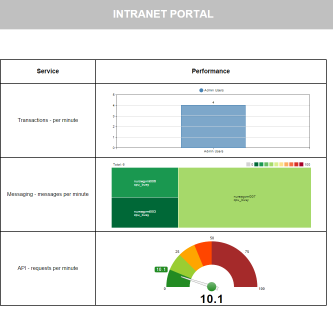 Visualization widgets can be embedded into any intranet portal, application, or webpage. Widgets are defined in JSON format. Widgets retain their interactive features. Sandbox tool to test the visualization capabilities of ATSD. Experiment with different widget settings and configurations, as well as build up complex portals. By default, a random dataset is generated for each series. Allows for sending built-in spring-boot metrics and custom metrics into ATSD. Simple wrapping methods using custom metrics. Computes log event counters and interval rates for each trace level. 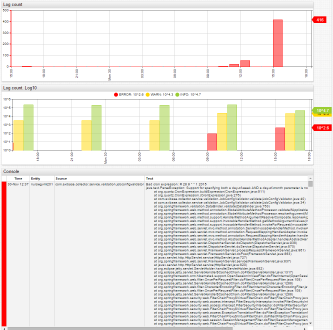 Monitors error levels for the entire application and for individual Java classes. 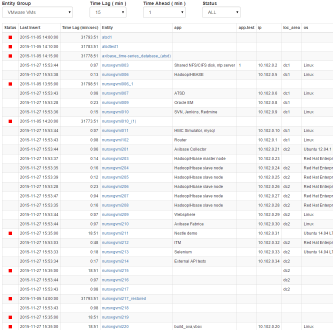 Sends a subset of log events for root-cause analysis. Supports common logging frameworks, logback, and log4j. 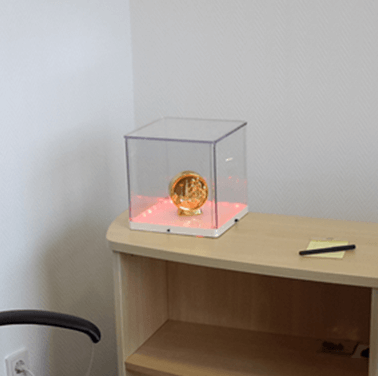 Visual alerting based on rules and events in ATSD. Designed to inform you of system status unintrusively. Uses Arduino UNO with a wifi shield hardware. Includes a custom web API. Three independent LED strips with configurable colors. Each strip is assigned a different Rule in ATSD, allowing you to monitor three different metrics. Sensor data transmission and monitoring. Data is transmitted using MQTT protocol. Uses simple Arduino Uno and a wifi Shield hardware. Uses DHT11 sensor to monitor temperature and humidity.